Apple will be selling factory refurbished Apple iPhone 4 units in India. The new Apple iPhone 4S will be launched in India on November 25. These refurbished iPhone 4 devices will be 16 GB variants and will be available for purchase for just Rs. 22,500/- according to BGR.in. Refurbished units are not second hand devices, they are devices which were sent back to factory for some minor defect and are now fixed and available for sale at a lower price tag. These defects can be either manufacturing flaws or simple cosmetic defect. Once the iPhone 4S will be launched, only 8GB variant of iPhone 4 will be available for sale. Apple will also continue to sell the iPhone 3GS for 19,000/- along side the iPhone 4 and the iPhone 4S. 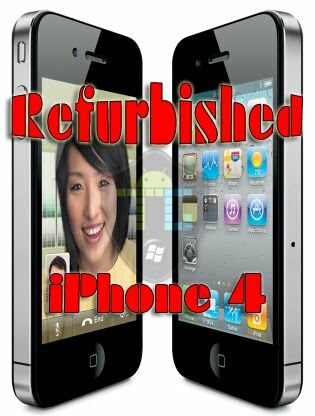 The best part about the refurbished Apple iPhone 4 is that Apple will give you 1 year warranty like any new Apple device. Additionally you can also opt for AppleCare Protection Plan. Apple also sells refurbished devices in other countries too. ya surely i want to buys dis...but the question is "WHERE FROM " ! We are still awaiting for an official confirmation form Apple India. Keep checking this space, I'll update the post as and when I find out more about the availability.